Agnes trained as a nurse at Armidale Hospital NSW, and gained membership of the Australian Trained Nurses Association in 1915. 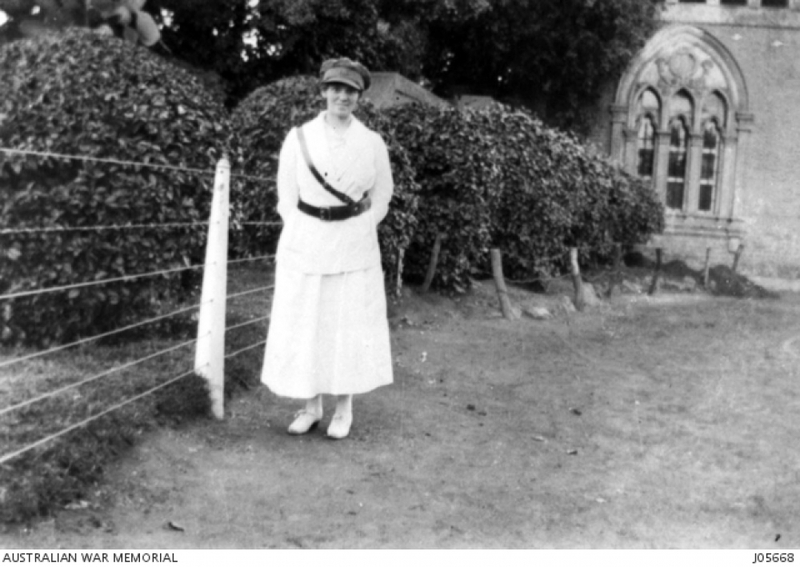 She was Matron at Singleton Hospital NSW when, in March 1917, she was appointed Matron of the Inverell Hospital. By July 1917, Agnes had been accepted by the Military authorities for War Service. She was given a public farewell at Inverell Council Chambers and presented with an Inverell medal prior to her departure. The Inverell hospital committee presented her with a pair of specially engraved field glasses and the staff also made a presentation. Agnes sailed from Melbourne in September 1917. She disembarked at Durban for transport to Bombay, India, where she worked at 44 Station Hospital and then 31 General Hospital, Abassia. At the beginning of 1919 she was transferred to 14 Australian General Hospital until her return to Australia later that year. Her brother enlisted in 1915, serving in France until his return in 1920. Ten years after her return to Australia, Agnes married Dr. Ernest Steel and lived in Sydney until her death in 1966.